REVOLVING DOOR RADIO: It Begins Tomorrow! 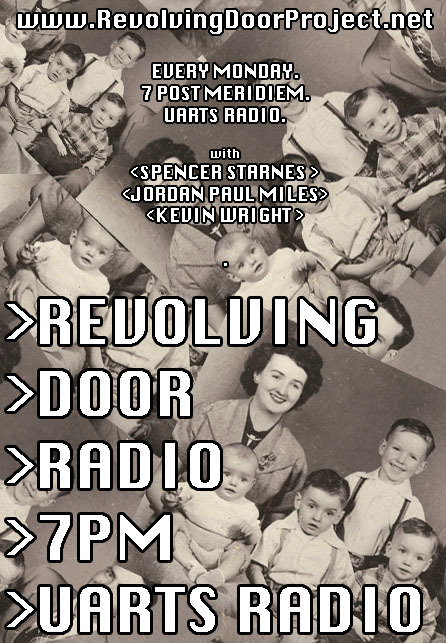 Attention readers, tomorrow night Revolving Door Radio will have it’s first show. It will be airing via University of the Arts internet radio station. Monday night at 7PM HERE. We’ll be playing songs from the latest releases, some old favorites, and a little bit of talk/banter. Please, join us! This entry was posted in Revolving Door Project. Bookmark the permalink.